Dale was born in Okemah, Oklahoma on November 3, 1935 to Louie and Ola Mae Greenlee. Dale went to be with his Lord on January 15, 2019.Hard work was instilled in him at an early age and remained in him all his life. 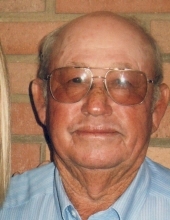 Dale worked for Belridge Oil for 15 years and in 1972 started Greenlee Hay Service and Farming he did work for many local farmers before retiring in 2008. Dale is survived by his loving wife Wilma of 63 years, daughter Tammy Shipp of Bakersfield; two grandchildren Shanna and husband Joel Gagnon of Danville, CA., Chris Shipp and wife Kanda of Bakersfield, CA; four great grandchildren Delaney,Logan, Shelby and Sadie; two sisters Annette Glenn of Visalia, CA and Phyllis and husband Larry Wanamaker of Oregon; He is preceded in death by his parents and his beloved son Alan; brothers Dwaine and Ron. Thank you to special friends Delois and Sherry, also Hoffmann Hospice. Memorial Service will be held at 11am on Wednesday January 23, 2019 at Shafter First Southern Baptist Church, 250 Kern St. Shafter, CA. To send flowers or a remembrance gift to the family of Marvin Dale Greenlee, please visit our Tribute Store. "Email Address" would like to share the life celebration of Marvin Dale Greenlee. Click on the "link" to go to share a favorite memory or leave a condolence message for the family.